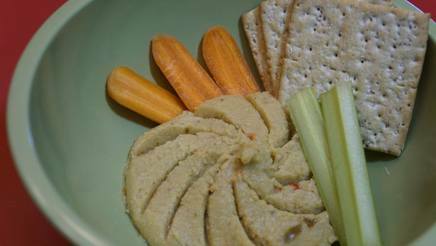 Sweet tangy & spicy pickle hummus! Hummus balances health, taste and ease-of-preparation in a way that makes it perfect for party platters and packed lunches alike. This recipe is versatile because you may adjust the proportion of ingredients to result in a final product perfect for your taste, whether that be more spicy, sweet, tangy or mild. Experimenting is at least half of the fun, but rest assured that these base ingredients will result in a delicious dish nearly every time.